M24, also known as the Sagittarius Star Cloud, is bright patch of stars in the bottom part of the image. 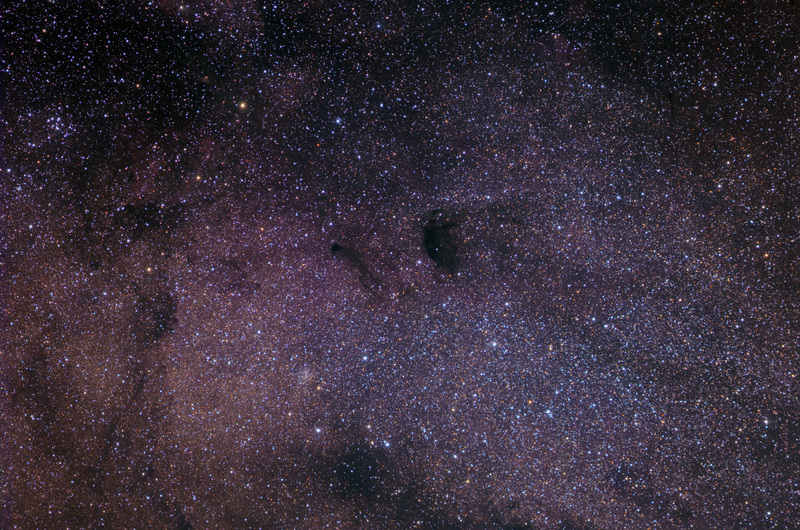 The dark nebulae Barnard 93 (left) and 92 are near the center, and the small open cluster M18 is at upper left. NGC 6603 is the small open cluster to the lower left of Barnard 93.